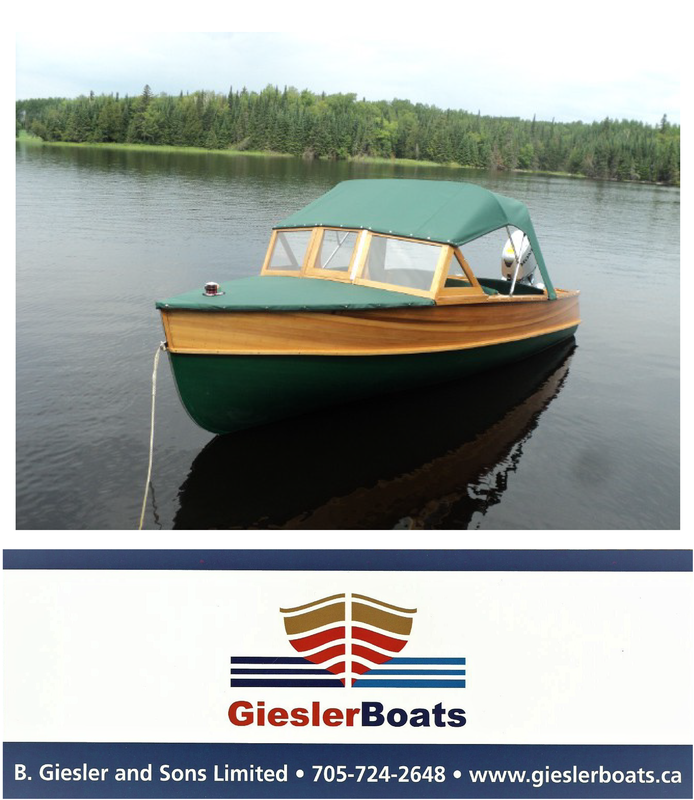 You are browsing the archive for wooden boat restoration. 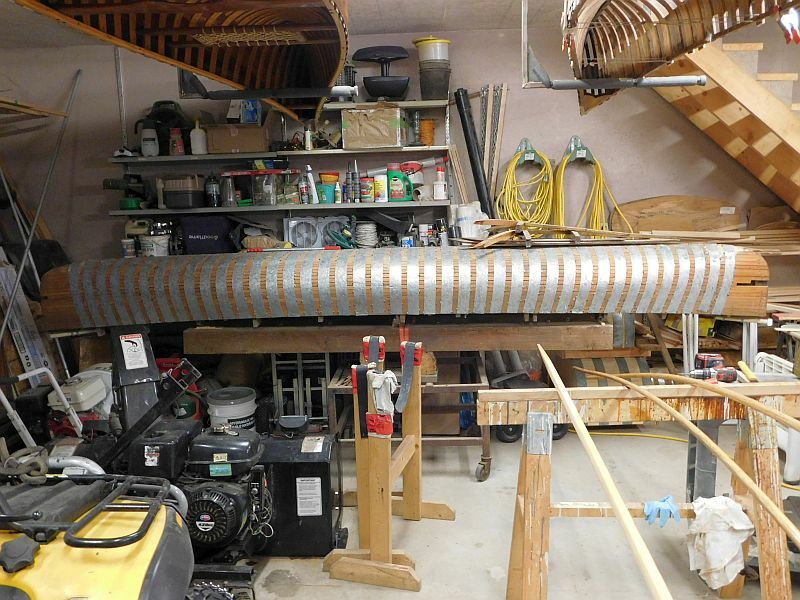 How James Osler and his staff managed to squeeze a mammoth 34 foot Minett launch into his shop, never mind flip it, remains somewhat of a mystery! 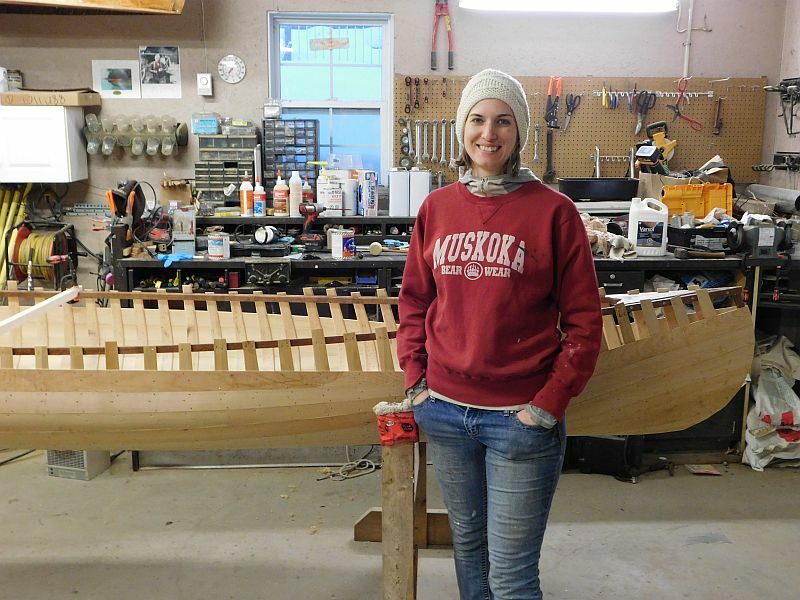 However, they succeeded, and have been “operating” on the boat since then. The current power plant, a 6 cylinder Scripps engine, has been removed for refurbishment. 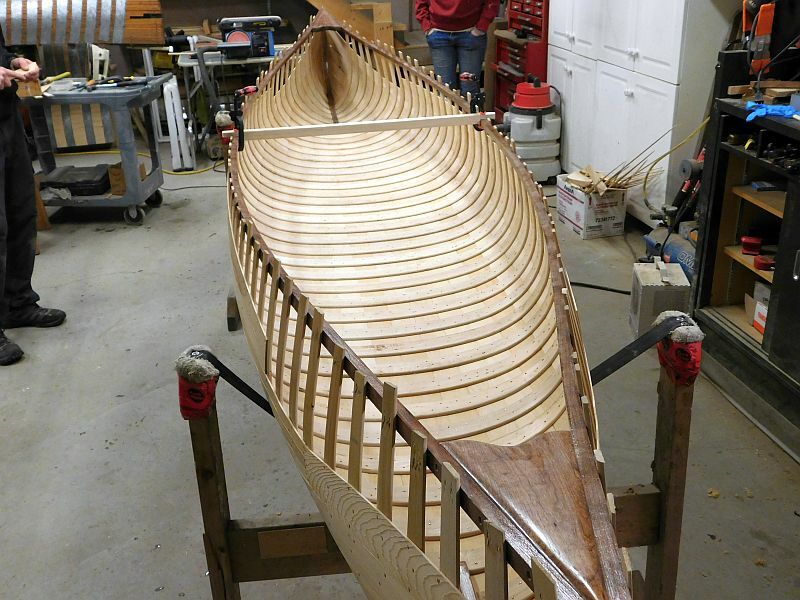 Also on the “chopping block” is a major restoration of a 17 ft. 1950s Chris-Craft. Enjoy the video below. 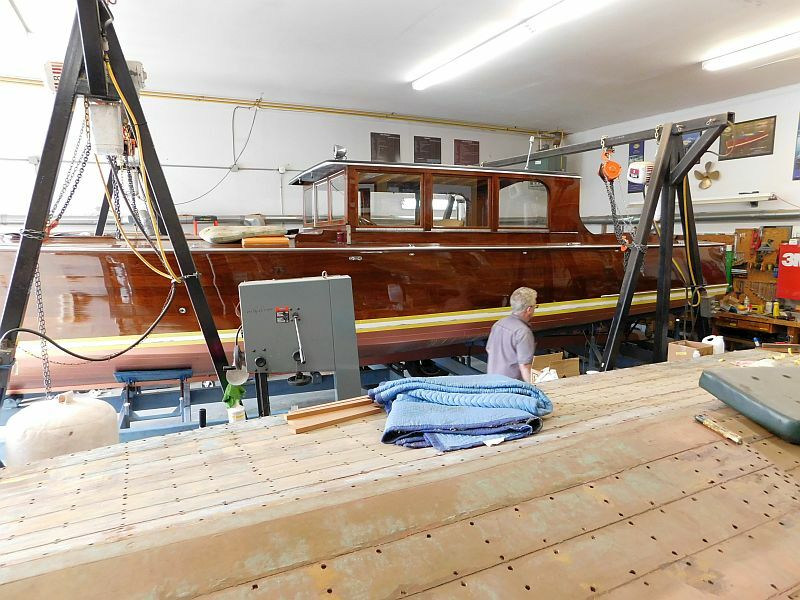 Tags: ACBS, antique boat restoration, antique wooden boats, Chris-Craft restoration, Minett restoration, vintage boats, vintage wooden boats, wooden boat restoration, wooden boats, woody boater Comments Off on A peek into James Osler’s boat restoration shop in Port Carling, Ontario. 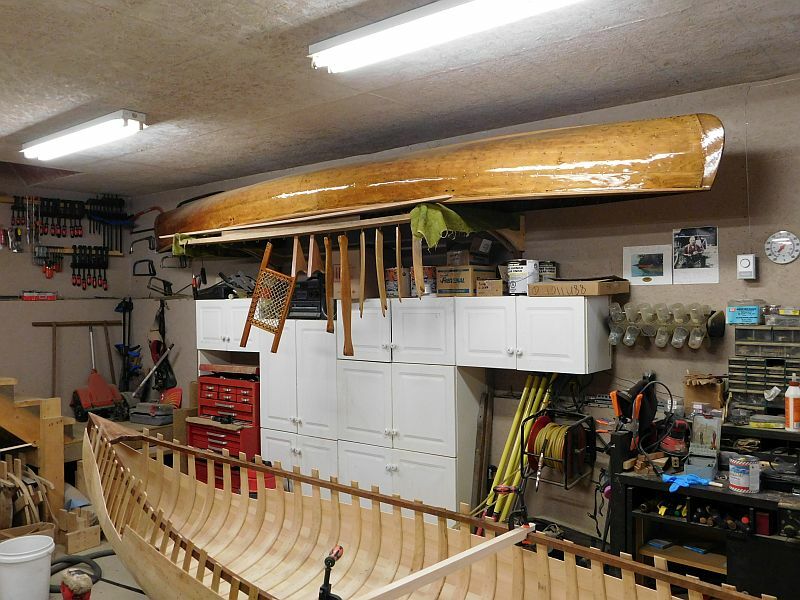 Tags: ACBS, canoe building, canoe restoration, Muskoka Canoe Works, Port Carling Boats, wooden boat restoration, woody boater Comments Off on New “Canoe kids” on the block in Muskoka! 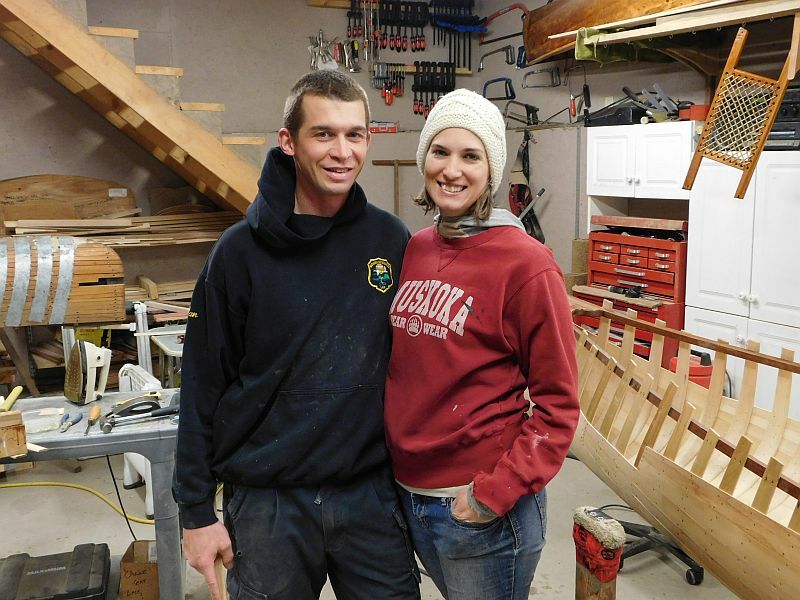 Santa’s “woody” elves still at work after Christmas! 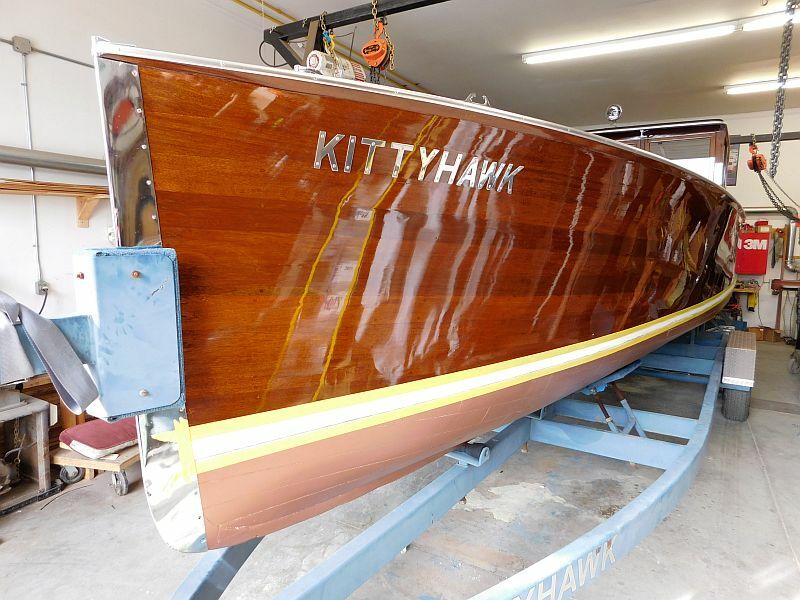 Ho-ho-hold the varnish! 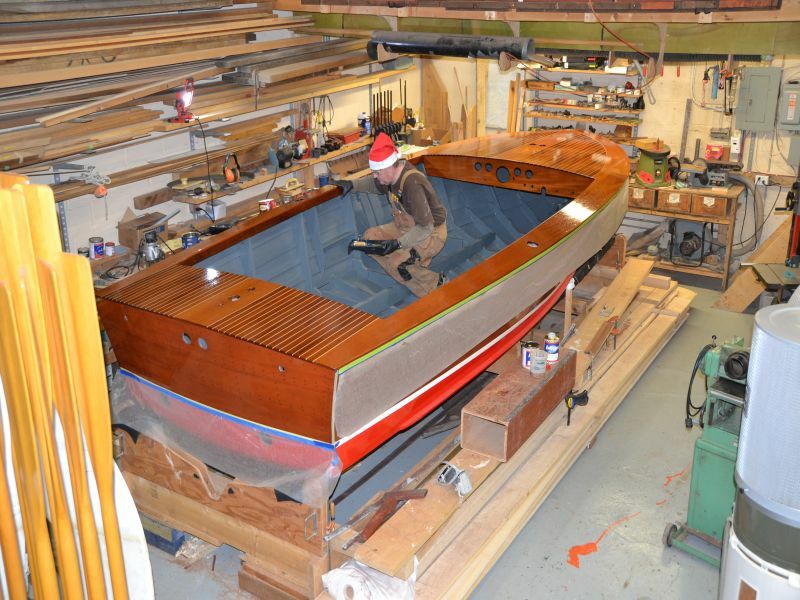 One of Santa’s favouriute elves, aka Peter Code of Tender Craft Boats,(and a junioor elf) are hard at work on this seventeen foot, late 1950s Century Resorter. 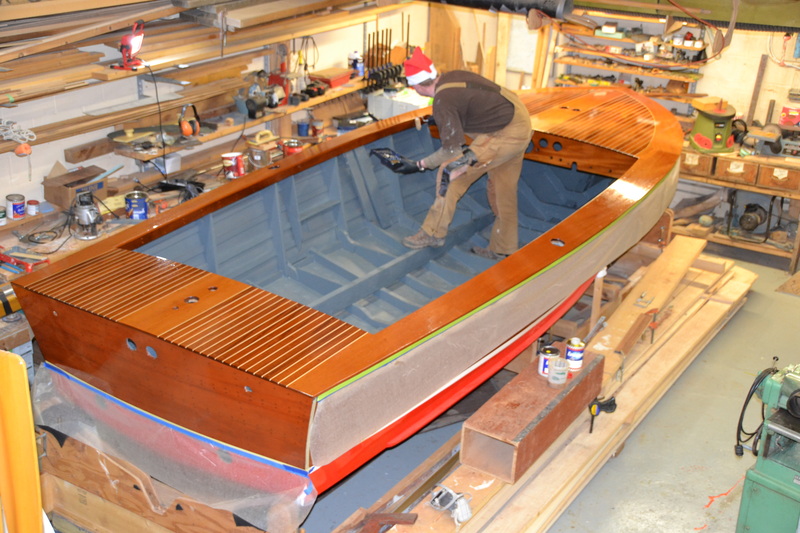 The new bottom, frames, strringers, keel, transom and deck make the Resorter an almost new boat! 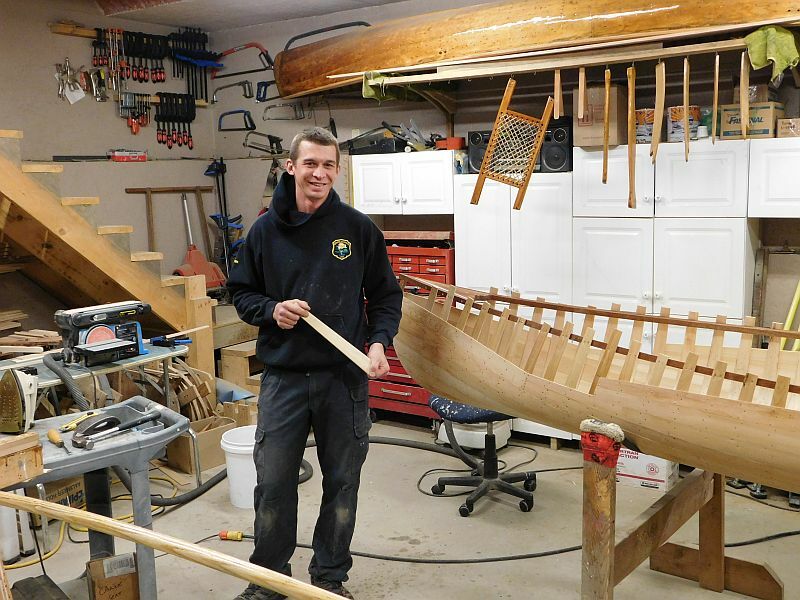 Peter hopes to have the work completed early in the new year. 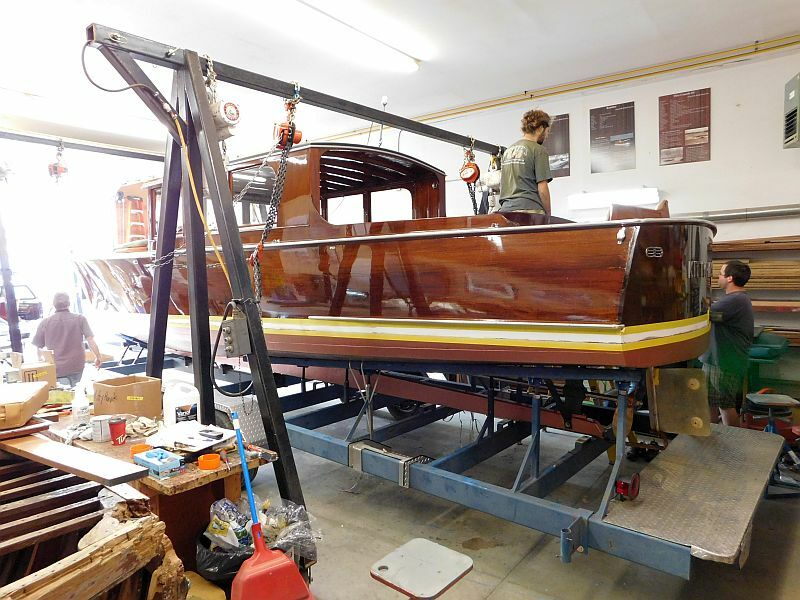 Meanwhile, the engine is out for restoration. 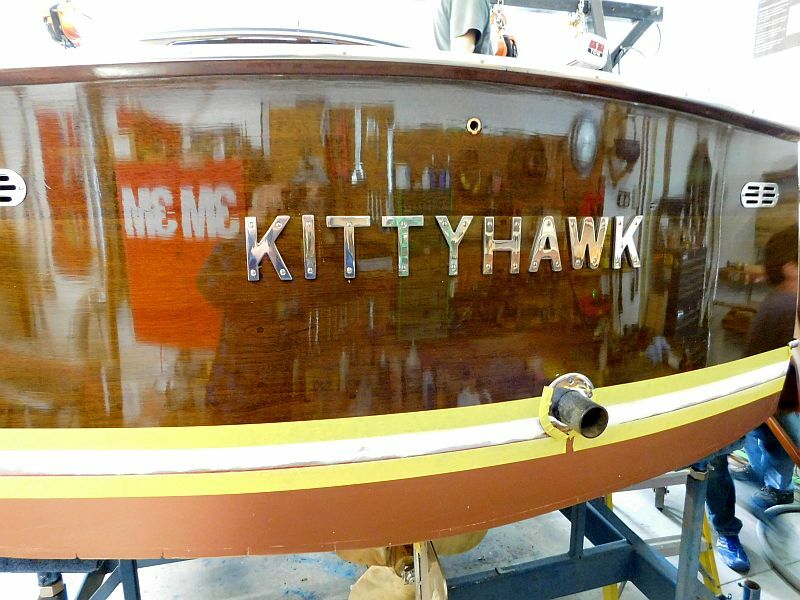 With care and good luck, this Century will provide another fifty years of service. 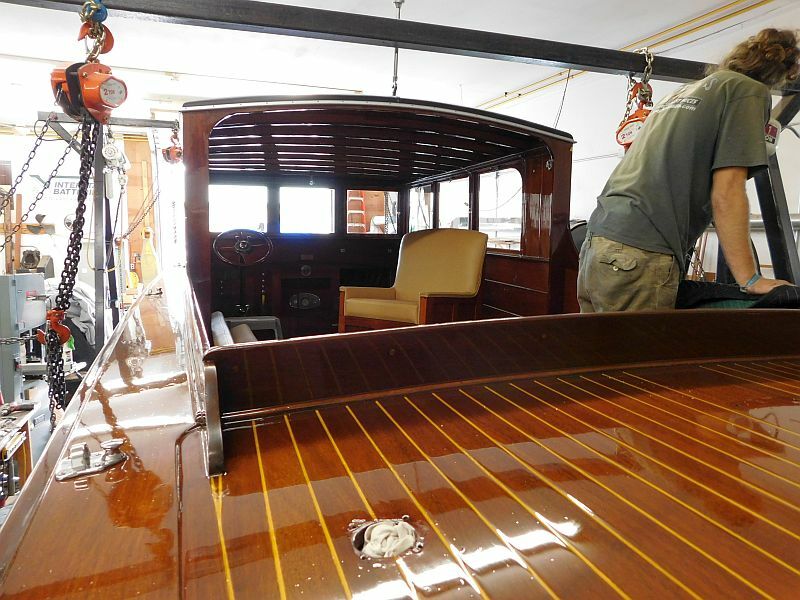 Tags: ACBS, classic boats, classic wooden boats, Port Carling Boats, vintage boats, vintage wooden boats, wooden boat restoration, wooden boats, woody boater Comments Off on Santa’s “woody” elves still at work after Christmas! 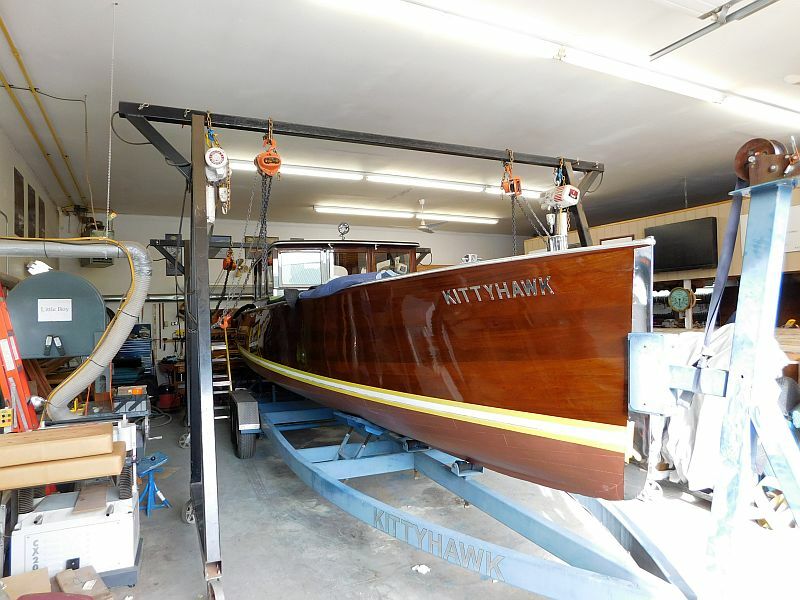 We’re following up our photos of recent work at Butson Boats with the video below. Enjoy.